The key to a lush, green landscape. 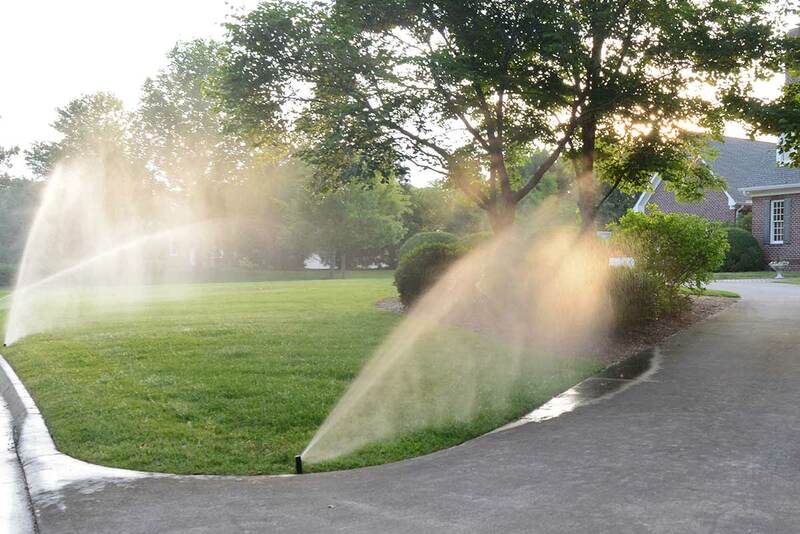 Irrigation is the only way to guarantee that your new lawn gets enough water to stay healthy in the heat of summer. After an irrigation plan is developed, our installation crews will get to work marking where the sprinkler heads go before they begin trenching for the pipes. 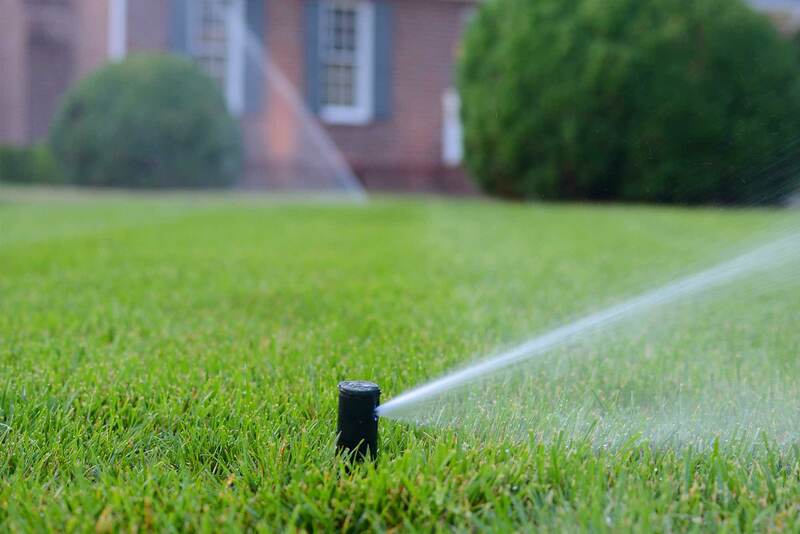 After all plumbing has been installed, our crews will set the timers and in no time your lawn will be getting irrigated at the ideal time of day according to a custom schedule programmed for your yard. Earthadelic will also handle the annual maintenance associated with an irrigation system. To prevent freeze damage, your irrigation system should be winterized each fall and then brought back online in the Spring after the threat of freeze has passed. New laws require that all irrigation systems have a backflow device installed to prevent contaminated irrigation water from being drawn back into the city water. Additionally, the backflow device must be checked annually by a certified company who reports directly to your city or municipality. 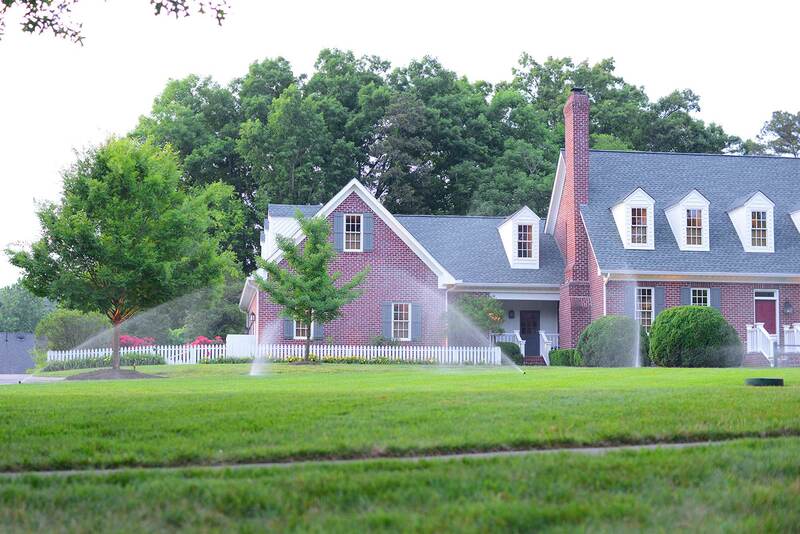 A traditional irrigation system is the only way to ensure adequate water falls on your lawn and garden. Today's multizone systems are efficient and affordable. Rainwater and runoff capture systems are a great way to irrigate your lawn in an envoronmentally friendly way. Ask an Earthadelic designer about your many options.